Integrated energy management involves the planning and operation of energy production and energy consumption. The objectives of this discipline are resource conservation, climate protection, and cost savings, while it also ensures that there is permanent access to the energy needed at the facility. When energy efficiency is realized, assets will be utilized much more effectively. Integrated energy management provides a clear and accurate view of the facility, allowing the owner to make informed and timely decisions when it comes to any challenges they may face. Escalating energy costs. Older equipment, overdue maintenance, and other inefficiencies can drive energy costs ever higher. Downtime. Any downtime is a loss to the business of both time and money. Equipment failures. Overdue maintenance or equipment that needs to be replaced can create equipment and machinery failures, causing costs to mount. Loss due to power outages. Expensive system upgrades. Over time, as machinery and equipment age and become less efficient, it will become necessary to replace these integral items. Replacing them with the most well-designed equipment on the market will save time and money. Here at EMR, we provide proven electrical solutions to these issues. Asset Management and Control System. 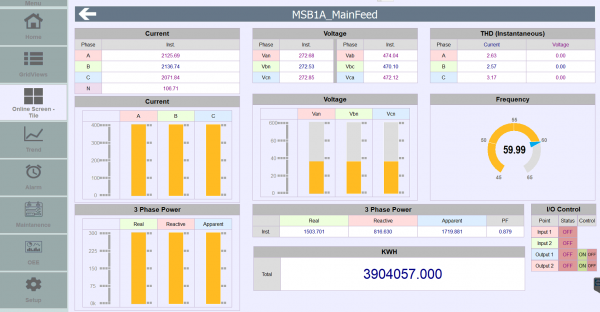 EMR offers several options that provide fully integrated Energy Management Solutions and afford the answers for monitoring, power quality, control, and automation. These systems monitor and control the processes that are used. They allow the owner to see the status of their equipment and energy usage in real-time while enabling them to control their devices remotely. By incorporating Asset Management and Control in a facility, the owner will be able to realize the gaps in their energy efficiency and help them determine how to operate their assets more effectively. Digital Metering. Commercial, industrial, and utility customers alike rely on digital metering solutions to obtain highly accurate power quality and utility monitoring and reporting. This provides customers with a reliable and efficient use of energy and utilities within their operations. Advanced communications and logging capabilities provide the application flexibility for both green and brown field digital metering installations, as well as flexible installation options. Socomec is a leading innovator and supplier of Power Metering equipment. 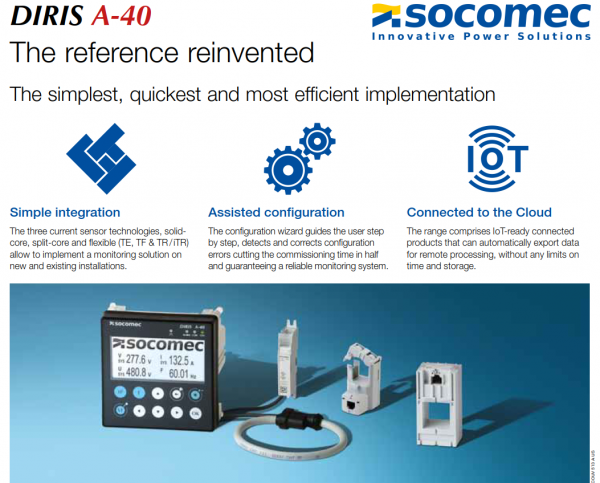 Their latest product is the Diris A40, offering a quicker implementation and a smarter product. Contact EMR Associates today by visiting our website, or by calling Mike Hughes at 615-828-8028. We can help you to determine the best choices for your business or organization based on your unique energy needs.